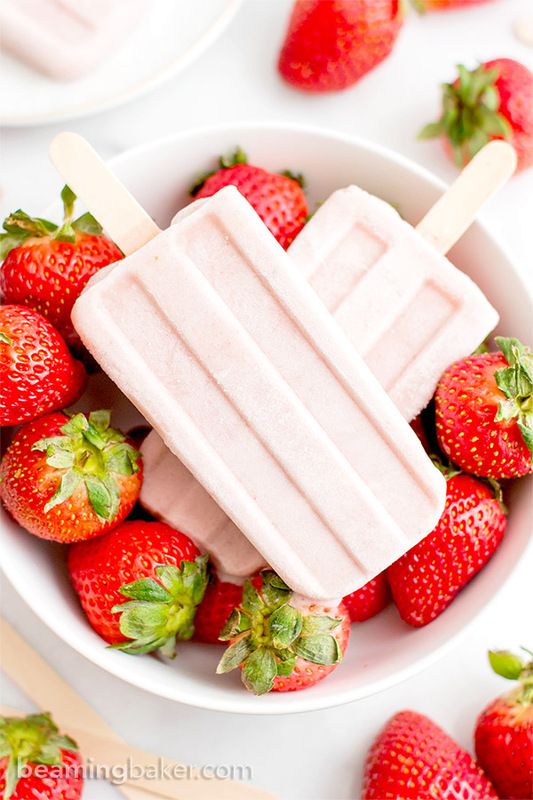 This 4 ingredient, plant-based recipe for creamy, refreshing popsicles is bursting with fresh strawberry flavor. It’s quick and simple to do. It’s a perfect refreshing dessert for the family.